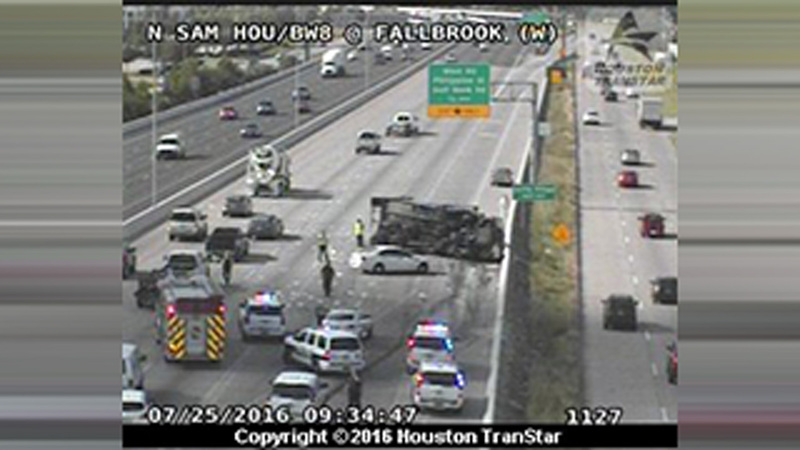 HOUSTON (KTRK) -- An overturned 18-wheeler has three lanes closed on the westbound lanes of Beltway 8 near Fallbrook, approaching West Road. Vehicles are beginning to rubberneck as they stop to look at the wreckage. We are not aware of any injuries yet, and do now know how the big rig ended up on its side.